Last night, I made hummus for the first time! After tasting it, I don't know why I waited so long to make a homemade version of this versatile vegetarian food. It was super easy and it tastes fabulous!!! :) I don't think I'll ever purchase hummus from a store again. Living in a city with one of the largest Arabic populations outside of the Middle East, I've had some pretty good hummus at the local restaurants. But because I do love hummus, I'm happy I found a decent recipe that I can tweak (I'm thinking roasted red pepper hummus in the future!). 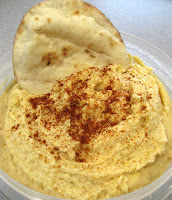 I brought a container of the homemade hummus to work today along with some baby pitas ... makes a great lunch! The recipe is from vegweb.com ... check it out! 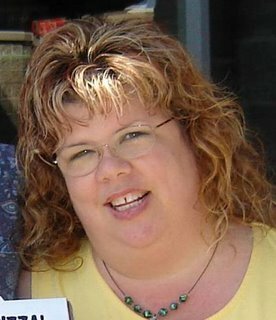 Congrts on the chili too! WAY COOL!